Initially introduced as a joke cryptocurrency, Dogecoin (DOGE) now has a large online following and a market cap of almost $500 million at the time of writing. It is also well known for its meme-inspired logo of a Shiba Inu dog. Dogecoin was created in December 2013 by Billy Markus, a programmer from Portland, Oregon. Like Bitcoin, Dogecoin has a blockchain that’s maintained by a mining system. However, the key difference is that Dogecoin uses a Scrypt algorithm. This is to help avoid the use of ASIC mining hardware and the issues of mining centralization as seen with Bitcoin. The intention was for there to be a limit of 100 billion Dogecoins. However, it was later decided that there would be a limitless supply of Dogecoins. One of the greatest strengths of Dogecoin lies in its passionate community, who have done a great deal of fundraising. Notably, supporters raised money to send the Jamaican bobsled team to the Sochi Winter Olympics as well as to sponsor NASCAR driver Josh Wise. Dogecoin is also used as a form of tipping by the community on platforms such as Reddit and Twitter. As you’ve probably guessed, a desktop wallet is one you download to your desktop! They tend to be safer than web wallets, but they can still be vulnerable to malware, so be sure to take the necessary precautions. You have a choice of a Doge-specific desktop wallet such as MultiDoge. This is a light wallet available for Windows, Mac, and Linux. Alternatively, you could use a multicurrency wallet such as Jaxx.io, which is also available on Windows, Mac, and Linux. Indeed, it can also be accessed on Android and iOS. One of the safest wallet types available, a hardware wallet does require an initial investment. However, having an offline device such as this can help provide peace of mind. You’re spoiled for choice when it comes to hardware wallets for Dogecoin. The Ledger Nano S is a very popular choice and supports not only Dogecoin but nearly two dozen cryptocurrencies. Likewise, the Trezor wallet is another very good option, while KeepKey is a newer hardware wallet to consider. A web or online wallet certainly offers a great deal of convenience, but it’s not the safest wallet type available. That’s because private keys are often stored with a third party. 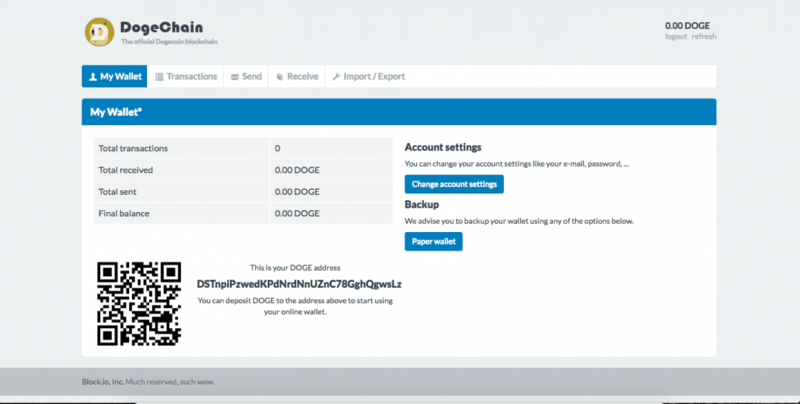 There aren’t many choices in terms of web wallets for storing Dogecoin. The main option is Dogechain, which is easy to use. Files are encrypted by your browser and stored in the cloud. They can then be decrypted with the use of a secure password. The chance to check your Dogecoin balance on the go on Android or iOS devices is a big plus. For Android, there’s the official Dogecoin Mobile Wallet, which generally has favorable reviews from users. Unfortunately, there’s no such version for iOS. However, there are mobile wallets available for both Android and iOS by Freewallet. Again, user feedback seems very positive on the whole. A US-based cryptocurrency exchange launched in 2014, Poloniex has among the highest trading volumes when it comes to Dogecoin. 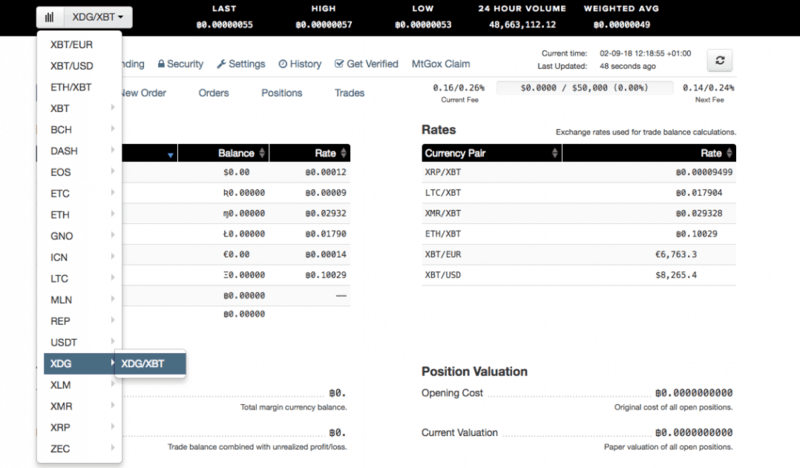 There is a DOGE/BTC trading pair, but there aren’t any fiat trading options available. Poloniex is well suited to more advanced cryptocurrency traders, as it offers low fees and supports a wide range of cryptocurrencies. Founded in 2014, Bittrex is a US cryptocurrency exchange that offers a DOGE/BTC trading pair. Indeed, the exchange offers plenty of cryptocurrencies. It’s easy to sign up to Bittrex, and you can have a basic verified account in a matter of minutes. While they do accept fiat deposit via wire transfer, the amount must be a minimum of $10,000, which is too much for many users. If you’re looking for a cryptocurrency exchange that allows you to buy Dogecoin with fiat, Kraken is your best bet. Founded in 2011, the US exchange has a DOGE/BTC trading pair (though they use the currency code of XDG). They offer a wide range of deposit methods, and users in Europe can benefit from the fast and free SEPA deposits. Kraken is now much more reliable following an update. A number of smaller cryptocurrency exchanges offer fiat pairs with Dogecoin. In particular, Exrates, YoBit, and Livecoin all have DOGE/USD pairs. LiteBit.eu and Bittylicious provide a DOGE/EUR pair. A DOGE/GBP pair is offered at Bittylicious and Cryptomate. It’s always worth checking out reviews of cryptocurrency exchanges before signing up and buying. While it’s not possible to buy Dogecoin directly with a credit or debit card, what you can do is buy another cryptocurrency with this payment method and trade it for Dogecoin via Changelly. For example, Coinbase, CEX.IO, and Coinmama all accept credit and debit cards. This means that you can buy BTC, ETH, or LTC and simply send it to Changelly or another cryptocurrency exchange for trading to Dogecoin. There are very few cryptocurrency exchanges that accept PayPal payments. For this reason, there are no options when it comes to buying Dogecoin with PayPal. However, you can use VirWox or LocalBitcoins, which let you use PayPal to buy Bitcoin. Then you can transfer the Bitcoin to Changelly and trade it for Dogecoin. As always, don’t forget to withdraw the Doge you’ve bought out of the exchange and into your own wallet for safekeeping. If you keep your Dogecoins on the exchange, you’ve basically given up the control of the coins—if the exchange gets hacked or goes bankrupt, you may end up losing them. 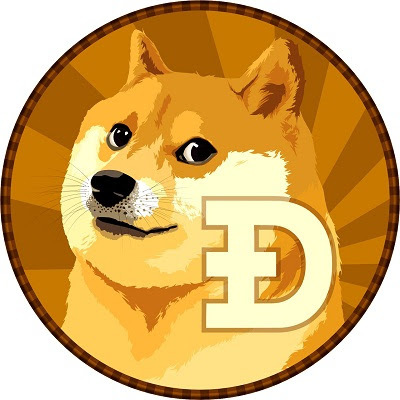 Dogecoin is an established cryptocurrency that has been around since 2013. It has a passionate community that enjoys fundraising and using Dogecoin to tip other users on Reddit and Twitter. This is a cryptocurrency that is easy to buy and store since there are plenty of options available when it comes to exchanges and wallets.